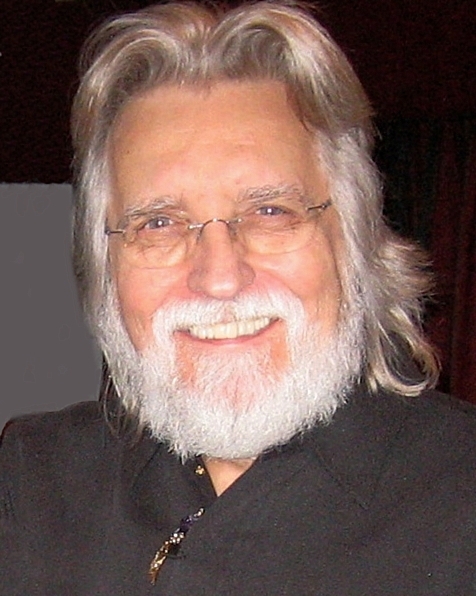 Being at One: Neale Donald Walsch Interview with Gil Dekel, PhD (Part 1 of 3). 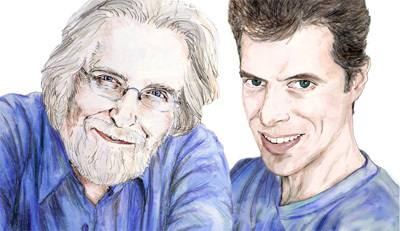 Neale Donald Walsch (left), author of 'Conversations With God'; and Gil Dekel (Right). Drawn from two photographs by © Natalie Dekel. Gil Dekel: Many people read your books and then go and do something positive… people don’t just put the books back on the shelf. How does it feel to be a man who inspire millions into action? Neale Donald Walsch: I don’t feel that I have done that, I feel that God has done that… I’m not being overly modest and I’m not trying to present myself in some kind of artificially humble way. I really mean that. I don’t have the sense that I have inspired millions of people but I’m very clear that the words that God brought through me have inspired millions of people. And I am only deeply grateful that I could play a role; that I could be a minion, and that I could somehow stir up a moment and have some small thing to do with this process. That’s an interesting question… I have not experienced any. It has been a blessing from the beginning right up to this moment. I have received very little negative reaction to what I have placed in the world. I have not been attacked except in words by just a very few, strikingly few people. I have not had anything but wonderful outcomes in my own life. My life has felt more complete, more joyous and more fulfilling since this experience, than anyone could have ever imagined. What does God feel like? Soft, warm, loving, caring, compassionate, generous, patient, understanding; totally accepting, completely embracing, absolutely non-demanding; non-requiring. 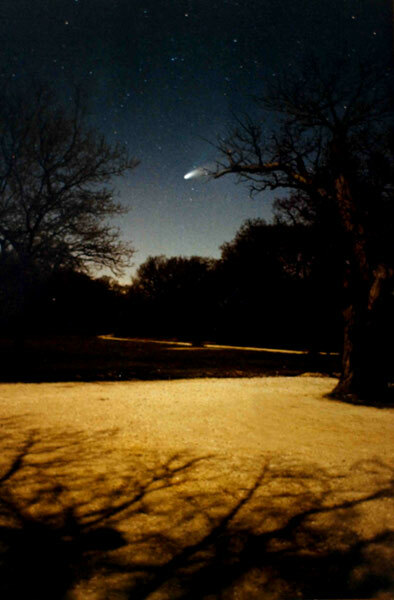 An entity who wants nothing but the very best for me and is willing to put all the energy, wisdom and power of divinity behind me when I am desiring to experience an experience of the highest idea I ever had about myself, in relationship to life and in relationship to everyone in life. God feels to me like the best friend I ever had, the most helpful and generous partner I could ever acquire and the most insightful, caring and wise advisor I could ever hope to find. That’s how God feels to me; like an ever-present energy that completely empowers me and is a constant gift through every moment of my life. Has God changed over the years? Well, it’s like saying: is someone you have not known changed over the years… I never really knew God until now… I thought that I did, but I was imagining a false god or an inaccurate god, a limited god. I’ve only known God since the ‘Conversations with God’ experience. Why would God use words and ‘write’ through you, instead of using images or feelings through you? I think that words, in my case, are very powerful because I happen to be a writer. That was the instrument that I think God understood would be most effective in my case. I think that God uses whatever is most effective. How do you ‘open up’ to God? I want to say that I’m always opened up to God, these days especially after the experiences I’ve had. I don’t feel that it’s a case of opening up to God. It’s a case of closing down to God… So I feel opened up to God all the time and to be honest, there are times when I close down temporarily for a moment or two or 15 minutes here and there, because I get caught up again in the illusion of the dramas of my life, and I begin to believe that the illusion of my life is real, which of course is not. So I sometimes close down to God’s presence, but it’s a very short period of time before I re-establish my awareness of the presence of God around me and in me and through me. Usually, all I have to do is look out the window and I see God or feel any true emotion, and I am aware of God’s presence. Or I reach out to someone else with helping energy; then I feel God’s presence as well. I’m always working, always writing something for the public or answering someone’s questions online, or posting an entry in my daily blog. I am reaching out to touch others with this information. When I reach out and touch others with this information I reconnect immediately with the divine presence. Can anyone open up to God (or not ‘shut themselves out’ of God) even if they don’t believe in God? Whether one is aware of that connection is another matter. But there are times when even people who don’t believe in God are aware of something larger than themselves. They may not call it ‘God’, but they are aware that there’s something that’s bigger than they are individually. That essence, that experience, that feeling that they have is the feeling of being connected with the divine – whether they call it that or not. And God by any other name is still God. It doesn’t matter whether you believe in God. He can’t disappear. God is appearing in your life every single moment. Call it whatever you want, it’s still there. You talked about emotions as a power that attracts things to one’s life. How does this work? Emotions are energy in motion. When we put energy into motion, it’s like stirring the pot. It’s like scrambling the eggs. It’s like moving the energy of life around in such a way that it begins to swirl and attract. It begins to act as a magnet, much as a galaxy that is spinning in space begins to attract solid matter around it. That’s how galaxies form. A galaxy is one swirling form of massive energy that ultimately attracts and produces matter. Very much the same thing happens in miniature. When a person consistently and continually produces major emotion about a particular thing, a complete matter begins to form. 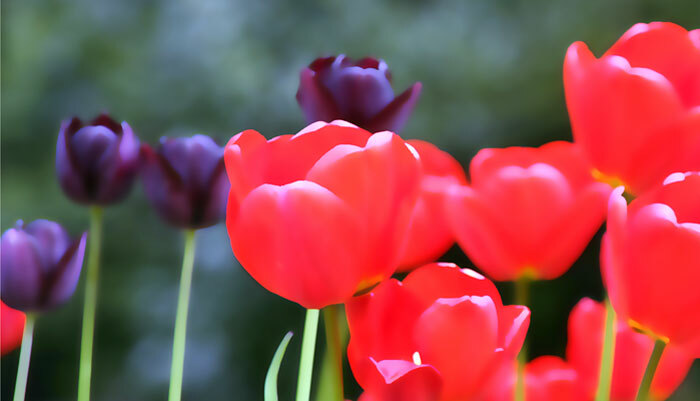 It is by that process that we create physical manifestations – both negative and positive. This is why masters tell us to celebrate life and to allow ourselves to be joyous as much as our experience will allow; because joyous energy continuously expressed, produces joyous manifestations in physical form. That’s why people who experience peaceful emotions attract peaceful experiences, like the Buddhist monk Thich Nhat Hanh, the Dalai Lama, Paramahansa Yogananda, and Swami Premanada. 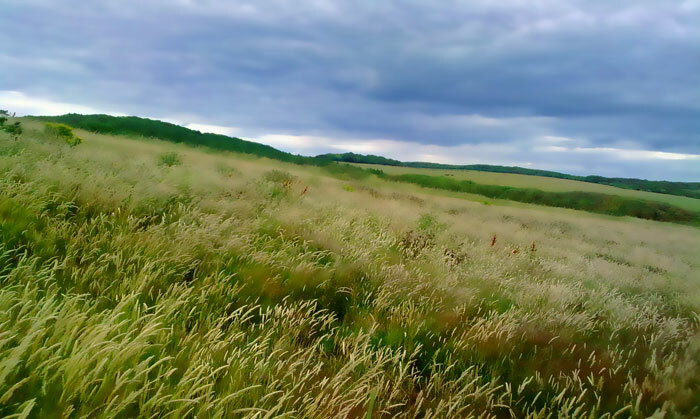 They produce peaceful energy in a wide variety of ways, not the least of which is mediation. So I think that emotions are a very powerful producer of physical manifestations, which is very good news because emotions are things we can control and create. Many people think that they cannot, that they are subject to their emotions. But in fact masters understand that emotions are creatable and controllable; and when they control and create their emotions, they control and create their exterior environment as well. It’s a secret that many people are now beginning to understand. The program and the movie called ‘The Secret’ talks all about that. 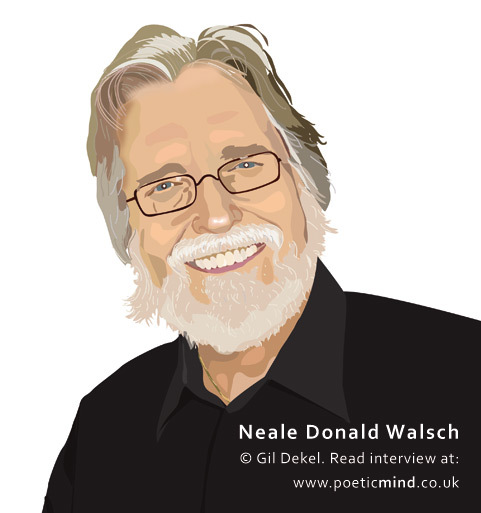 Neale Donald Walsch (portrait © Gil Dekel). Can masters who control emotions and manifest positive ‘vibes’ in their lives, affect other people as well? If people are choosing peace and wanting peace, but just don’t know how to find it, then the answer is yes. The vibration, the energy signal from another can very much affect them. If a person is looking for love and choosing love but just cannot find love then the energy of love from another can very much affect them. If a person is choosing joy and really, earnestly wanting to experience joy, but simply can’t find enough of it then yes, the joyful energy of another can affect them. But what’s true about the universe is that if we do not choose to experience energy, we will not be impacted by the energy of another because each of us is our own sovereign. Each of us is the God, if you will, of our own kingdom. No one can have any affect on us much less control us, if we did not allow them to. And people who are currently in pain, do they choose it? What about people, soldiers, who now fight wars and experience so much violence, have they chosen it? At a conscious human level, in human terms, I would say no, of course not, not all of them. Some of them do. Some soldiers choose to use conflict, violence, power and killing as a means of getting what those they serve want, whether they’re serving their government or a particular cause. Some of them do because they have been taught that the only way to get what you need and want, and get what you feel you have a right to, is to use violence. Many cultures have been taught that violence and power over another is the only way to acquire what you really want, because they believe in a world where you can’t have what you want unless you oppose others. But is that true of every soldier? No. So what about those soldiers who don’t believe that? At a human level, it would be true that they are doing what they’re doing against their will in a human context. It’s important for us to understand that human exercise is divisible. You can divide it into two contexts, the human context and the spiritual context. At a spiritual level it may be true that a particular soul has allowed itself to experience being in a violent situation in order to advance the soul’s evolution, or in order to advance the evolution of the soul of another. As in the story of the ‘Little Soul and The Sun’, it may be true that one soul would allow itself to be used as a person who inflicts power and violence on another for the evolutionary purposes of the other soul. So that there can be engagement in a co-creative process, and the soul that is completely healed or largely healed of its own misunderstandings about violence, may very well come back in another lifetime. It may move into a body which will then experience itself as engaging in violence in order to advance the evolutionary process of the entire species or of a particular other person. It’s important for us to understand that the evolution of species and the evolution of souls is a co-creative process that does not engage only one person or one soul singularly. It always engages souls in multiplicity; that is, in a joint co-creative process. The reason that soldiers are finding themselves at war even though they may not personally believe that violence is the answer, is that they may be engaging in a collaborative process with many other souls to produce a larger light; to create a larger awareness. And by that, to raise the species to a higher level of consciousness so to jointly manifest that which is not who we really are, in order for us to more rapidly and more grandly express that which we are. Nothing stops people from wanting to enter into a war faster than war itself… Nothing brings an end to violence faster than violence itself. If you’ve had violence in your life, you’ll know better than anyone that we never want to have it again. Sometimes we have to have what we don’t want in order to embrace what we do want. There are souls who have agreed to play the role of the violent one in order to produce a larger outcome. That’s the spiritual and the physical reason that certain people find themselves in violent situations even though at a human level they do not want to. So it’s important to understand that the experience of beings on this planet is divided into two parts: the human experience and the spiritual experience. Masters are those who combine both of them in one single moment of consciousness, in one single expression of consciousness. Masters know at a conscious level what they’re doing at all times and why they’re doing it. There’s never a question in a master’s mind. Those who achieve a very high level of mastery, as opposed to those who are engaging in the process of evolution, would step aside from any violent act as a means of creating the opposite of violence. A master would never go to war. A master who has combined human and spiritual awareness at the same time would not go into battle. He would simply leave the country or leave the army or not do it; he wouldn’t care what the outcome was, even if they called him back and shot him as a traitor. He would rather do that than become violent or perpetrate violence on another. For instance, the man that comes into his house to find that his child is being attacked by someone who has entered the home; this man would never use violence to protect himself. He would say, ‘No. Rather than be violent with you, I would allow you to kill me because I will not perpetrate violence upon you.’ But if he saw someone using violence on his child, he may use violence in return for the greater good of others who are having their experience of free choice taken from them. This explains why Jesus in the Christian story was said to have taken a whip – a scourge made of rope with knots in it – and swung it around in the temple when he drove the money changers out of the temple, which was a violent act. He wasn’t being peaceful by any means. He ran through the temple and he said essentially, ‘Be gone you vipers, you hypocrites!’ and chased the money changers out of the temple. That story is in the Bible for a reason. It wasn’t placed there by accident, I promise you. That story was placed there to show that even a person who many in the world claimed to be a master, has used non-peaceful means to generate benefit for the species. You ask a very complex question and it’s not easily answered in one or two sentences… Is there ever a person who goes to war who does not want to? Yes. But you know, ‘Conversations with God’ agrees with the Bible. ‘Conversations with God’ says there may be times when you have to demonstrate who you are not, in order to experience who you really are. 19 Sep 2010. Images last update 13 March 2012. Exclusive publishing rights © Gil Dekel. Images © Natalie and Gil Dekel and as specified. Interview conducted over the phone on 30 Aug 2010. Neale in based in the USA. Dr. Gil Dekel is based in The UK. Conversations with God website. Please write to me, wenn it exists the translations of the walsch-books in Korean. I have heard that conversations with god translated in many living languages, but in Korean? I was told by Will from CwG office that many of the books were translated to Korean language. Check up in amazon. Good luck! A very interesting interview and I found the comments most helpful! I agree, the photographs are a real asset to the presentation and I felt that the presentation was just the right length as it didn’t go on too long and wasn’t too brief either! This interview is inspiring and the questions are ones that many people would like to ask and receive answers about. The images accompanying the interview are truly beautiful, they sing to the soul… Thank you for conducting this interview with Neale Donald Walsch and making it available to others. A fascinating interview and a privilege to be able to pose such interesting questions and to have them so fully answered.